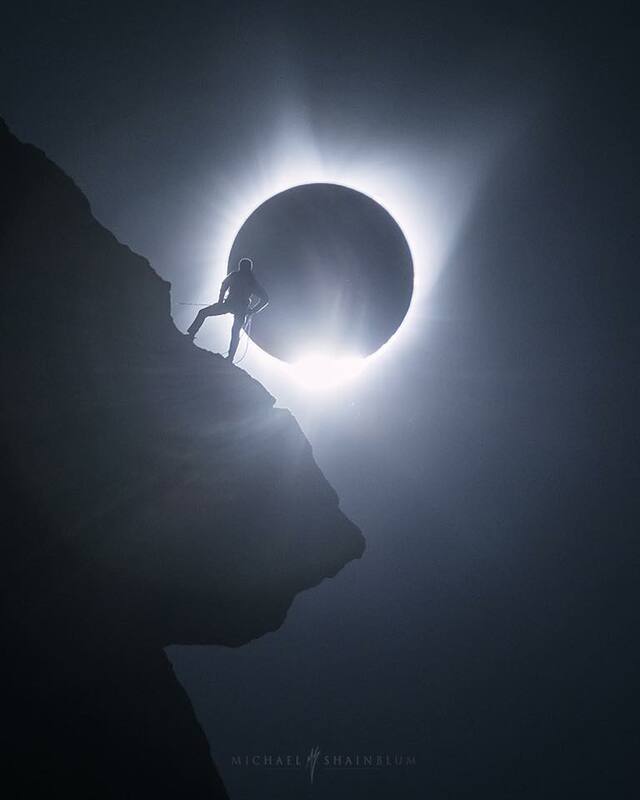 By now, you most likely have seen one of the most viral images of this week’s eclipse. 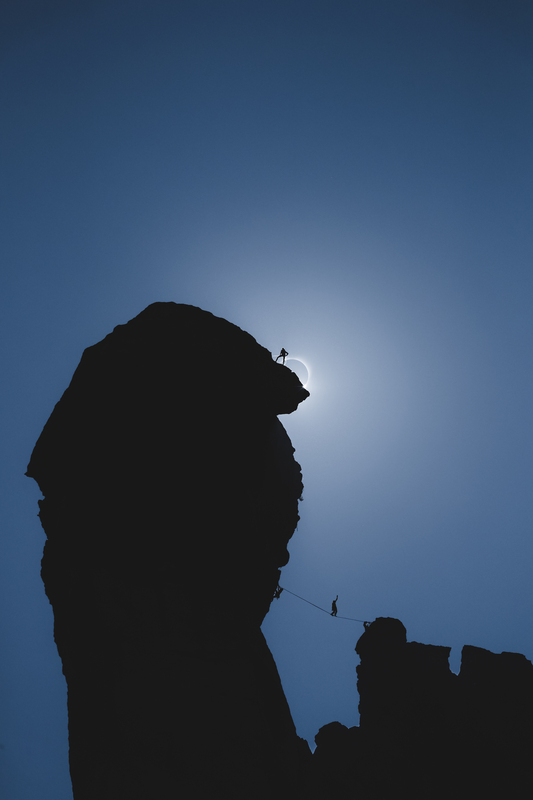 Photographers Andrew Studer and Ted Hesser captured the scene of rock climbers Tommy Smith and Martina Tibell scaling up a boulder and setting a slackline in Smith Rock State Park in Oregon as the totality of the eclipse takes effect. But what we didn’t know after seeing the image was how the scene unfolded, and the hard work and planning that went on behind the scenes to accomplish what is now one of the most iconic images of this rare phenomenon. The behind-the-scenes video opens up with Hesser talking about how Smith Rock is one of the homes of sport climbing, before conveying his doubts that what his team has planned will actually work. As the team wakes up, you can see cars already entering the parking lot, as this was one of the most sought after locations in the state to view the eclipse. Even Michael Shainblum, who joined in to shoot video included in the final film, is on hand. Studer, normally well composed, coveys that he is indeed feeling the pressure. Honestly, I am kind of nervous. We don’t have a whole lot of time to capture this. The team has done the math. Worked out every conceivable angle. But in reality, with only inches to spare, they would have to adjust quickly if their predicted lines didn’t work out. 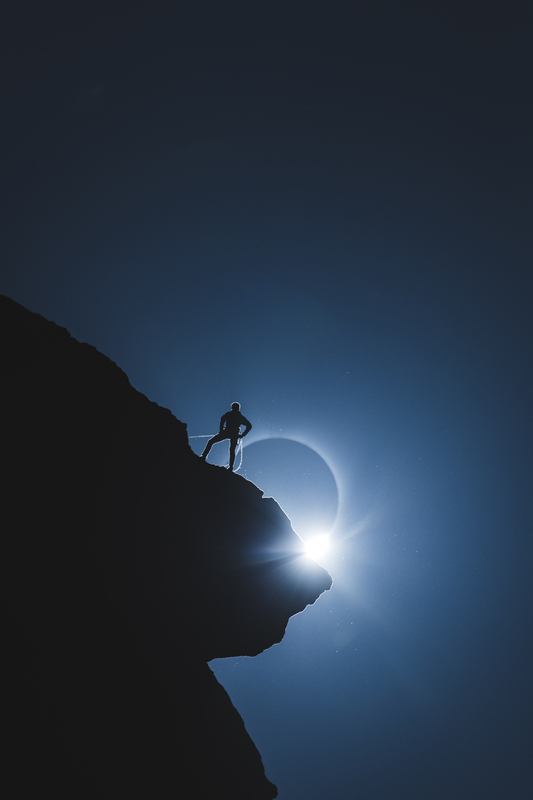 As the eclipse begins to take effect, the howls of excitement that echo off the rock walls mix perfectly with the sound of the rapid fire camera shutters. And finally, we see it. The perfect shot came together. 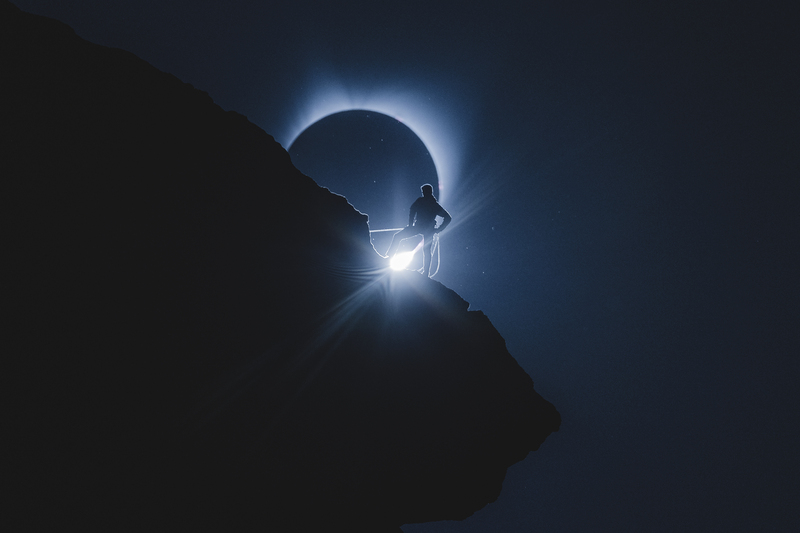 There is no denying this was one of the most amazing natural events of recent times, and being that this is the first eclipse to hit such a populated path in the social media generation, the access we have had to it is unprecedented. 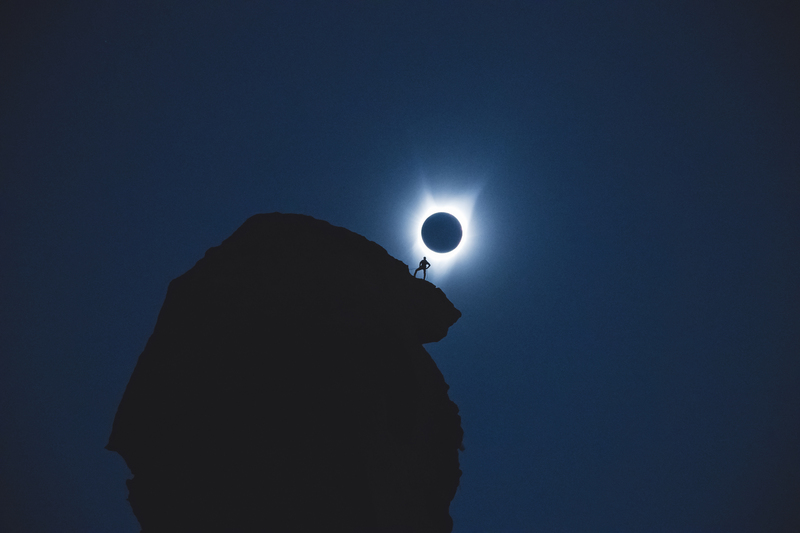 We saw many photos of the eclipse, but few were as impressive as these. Photos provided by Andrew Studer and Michael Shainblum. Follow Studer on his website, Instagram and Facebook. See more from Shainblum on his website, Facebook, 500px, and Instagram.